We went to our Vtown library today. Had a cry with our wonderful, caring library clerks. Just a normal day in the hood. Oh ya, we also got some books. The boys picked up a skateboard book. They disappeared downstairs into Nana and Papa’s great basement. 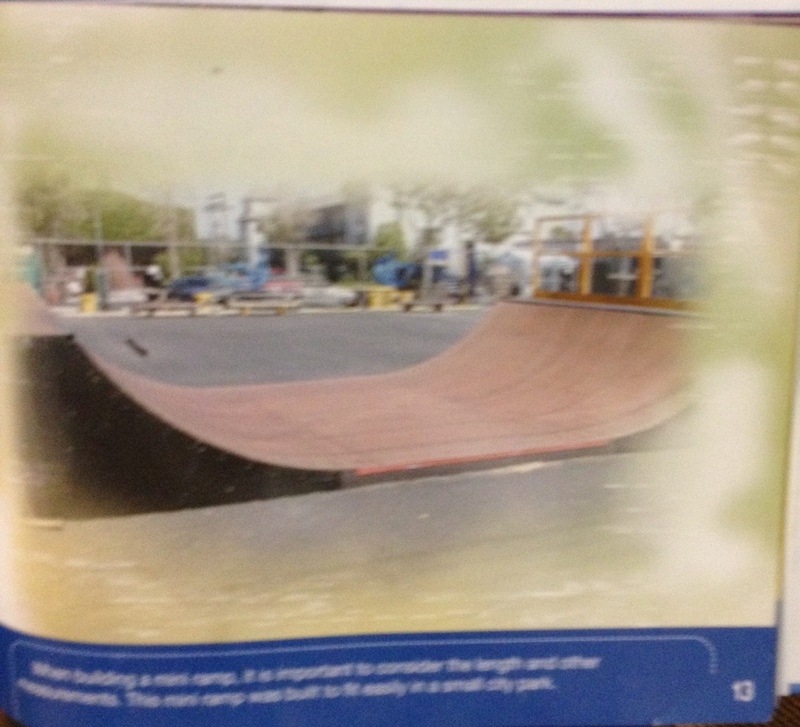 While downstairs, they discovered this half pipe photo in the library book. 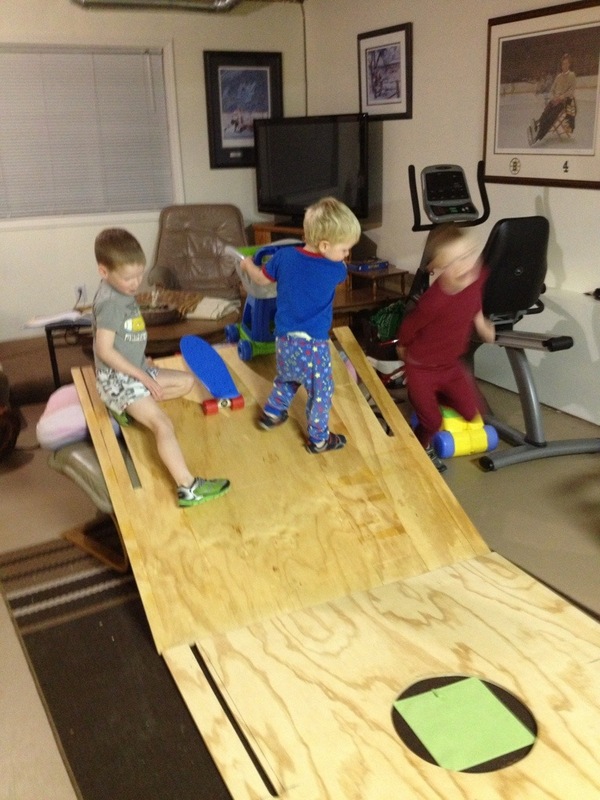 My parents have always had plywood boards with cut outs in them to create and play with. We had them as kids, then we gave them to our local elementary school in PG. A few years ago, my dad made five more wooden boards for the grand kids to make forts, stores, and theatres with. 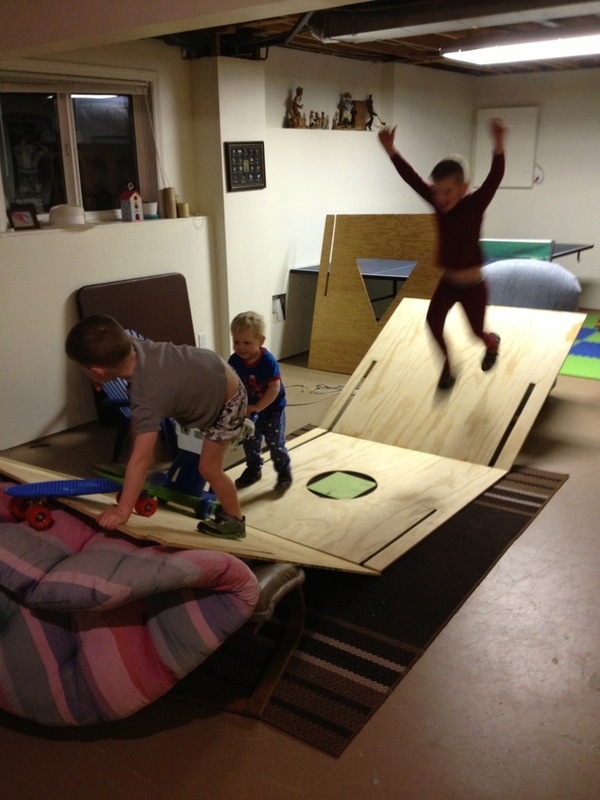 Today was a first for the boards in the Jenkins’ family – a half pipe. I wonder what Nana would say.